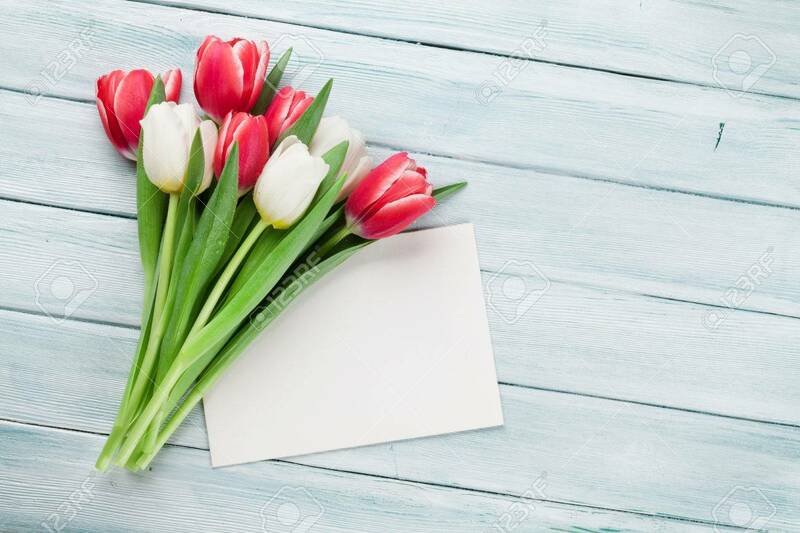 Colorful Tulips Bouquet On Wooden Background. Red And White... Stock Photo, Picture And Royalty Free Image. Image 71664289.